Crowther’s prose is fearless in tone and content. He is willing to editorialize and present Mencken in all his contradictions—and he doesn’t shy away from the difficult subjects, like racial discrimination. For all his bluster about defying popular opinion and pedagogy, Mencken was a sheep when it came to racism. His comments about Jews and African-Americans, as well as his complicated love affair with Germany post-WWI, are indefensible, and Crowther makes no effort to do so. But that shouldn’t come as a surprise. Mencken drew the ire of many and never held his tongue to avoid criticism. He was an elitist and, one could argue, a misanthrope. 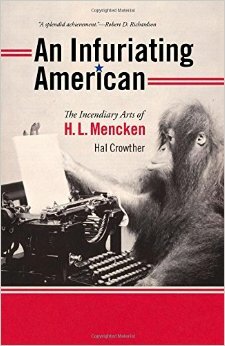 “Human progress was one of the myths to which Mencken did not subscribe,” writes Crowther. I would say the evidence supports this decision. This is a wonderful book about a complicated man, and an important object lesson for anyone pursuing a career in journalism, writing or general rabble-rousing. And during this political season of partisan blowhards and neutered media, is there anything more fitting (or even patriotic) than revisiting an era of bold journalism, back when it was a blue-collar profession of integrity, and not something best illustrated by the film Nightcrawlers. This is one of the most haunting lines from the tremendous opening story, “The Cutter,” by Edward Bryant. 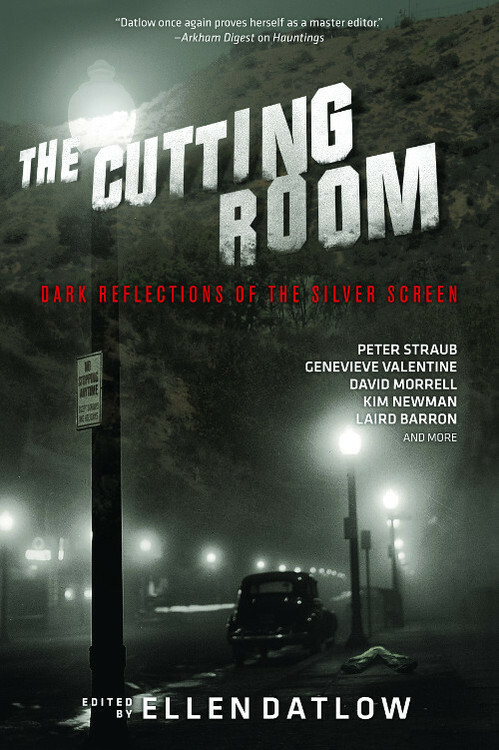 It sets the tone for all the delicious horror in Ellen Datlow’s latest anthology, The Cutting Room: Dark Reflections of the Silver Screen. Those familiar with Datlow’s work know that she is the go-to authority in the horror/fantasy world. The appeal of any anthology is the prospect of finding some good stories and maybe discovering new authors, but buyer beware: Anthologies themselves can be hit and miss, especially when the stories are crudely arranged with no thought to pacing or theme. 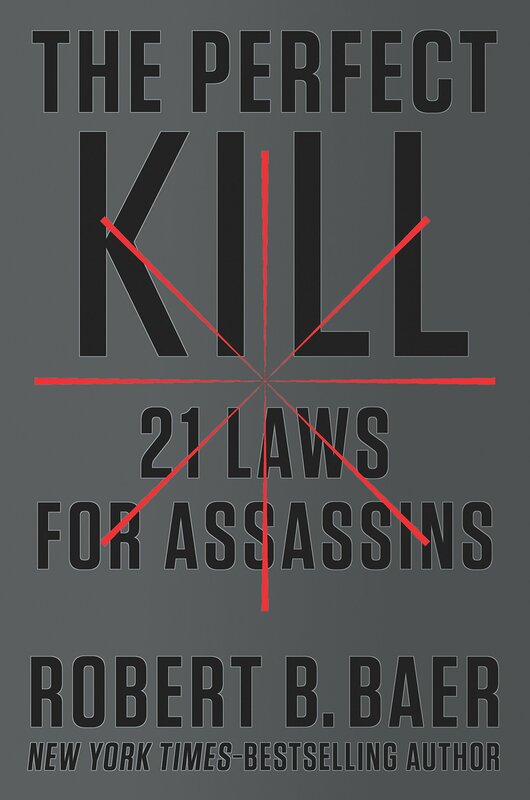 When Datlow’s name is on the cover, however, you know the collection will contain the highest quality writing and arranging, kind of like listening to a Rob Gordon mix tape (or Rob Fleming, for those who prefer the novel version of High Fidelity). Of course, I’m a little biased. Not long after I moved to Colorado, Westword profiled Bryant and his fiction, and I’ve been a fan ever since. Datlow refuses to let off the gas with the next tale, “The Hanged Man of Oz” by Steve Nagy, which plays upon the belief that an on-screen suicide is visible in The Wizard of Oz. I happen to share this belief, though it is denied by some. Nagy’s version gets even crazier, with the protagonist haunted by the scene, the film, the characters and his new girlfriend, who’d shown it to him. I’ve long loved the Gemma Files and Stephen J. Barringer tale “each thing i show you is a piece of my death,” which I first read in Datlow’s The Best Horror of the Year, Volume Two. While I love the meta-everything tone of the piece, I have mixed emotions about the title. It’s a line from my favorite Marilyn Manson song, “The Reflecting God,” and I appreciate the reference, but it’s such an obscure line (from neither chorus nor verse, but rather spoken beneath a wall of power chords segueing into an instrumental break) I’m not sure enough people will get the reference. Still, it’s a great story (and a great song). In fact, the idea of disturbing images and the blurring of reality is a common theme in this collection. Stephen Graham Jones’ chilling “Tenderizer,” for example, David Morrell’s “Dead Image” and the wonderfully titled “Filming the Making of the Film of the Making of Fitzcarraldo” by Garry Kilworth. The final story, “Illimitable Dominion,” is a wonderful story I’d read before (in a Datlow collection dedicated to Poe), but was worth a second read. It re-imagines the complicated relationship between Poe and filmmaker Roger Corman (a creative relationship, that is, not an actual one). By one view, Corman did the world a service by keeping Poe’s stories in the cultural conversation via horrid retelling of his tales. By another view, he also bastardized much of the master’s works, in ways inconceivable to Poe fans. Newman’s story offers an alternate view, one that loosely weaves fiction with history. Like any anthology, it’s unlikely that every story will resonate with all readers, but as far as quality is concerned, The Cutting Room is a major success. Even if you only read “The Cutter,” this monster matinee is worth the ticket price. Given one word to describe Ian McEwan, I’d have to go with excruciating. The tone (elevated and eerie) and density of his novels (to a degree that will try passive readers) ooze with anxiety. His protagonists suffer quietly, haunted by a single instance of poor judgment or an absent-minded transgression. It’s all about moments and forbidden thresholds, the composed intellectual who discards dignity and custom to follow an animal impulse. Be it a father’s momentary lapse in The Child in Time, the sudden violence of The Innocent or the chilling cowardice in Amsterdam, there comes a dissociative moment in every McEwan novel in which a main character is forced to confront their darkest depths. And then live with the consequences. Such is the case for Fiona Maye, protagonist of The Children Act, McEwan’s latest novel. Fiona is an experienced judge on the cusp of old age who is questioning her lifetime of restraint (as well as her decision not to reproduce). We enter her story mid-conversation to discover Fiona reeling from her husband’s proposed (and possibly in-progress) infidelity, just as she’s preparing for a high-profile case with a child’s life in the balance. Cut to the courtroom, where the precocious teenager is refusing a blood transfusion on the grounds of being a Jehovah’s Witness. Invoking the Children Act of 1989, Fiona gives her ruling, the consequences of which ultimately lead to a spontaneous, classically McEwan mistake, one that risks undoing her marriage, her career and a lifetime of calculated decision-making. 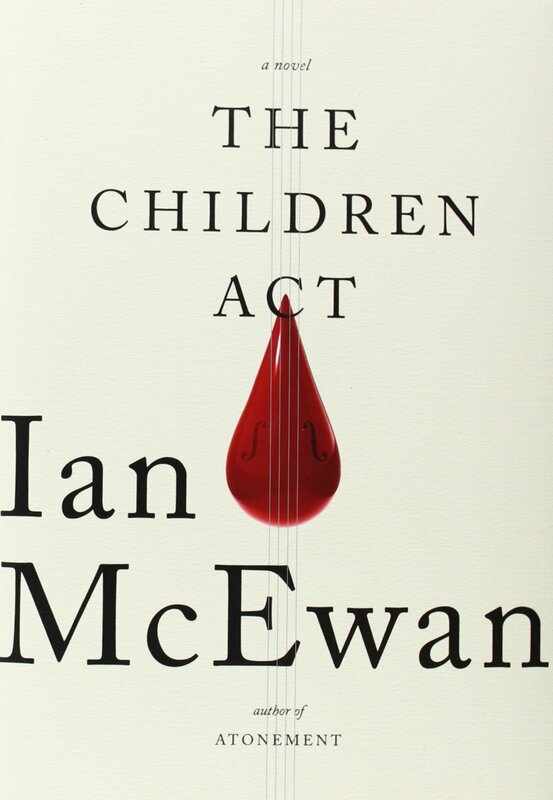 The Children Act is a short, but dense novel, as is usually the case with McEwan. The man is a master of reflection and interiority. The opening chapter encompasses but a moment in a 30-year marriage, but lays bare its successes, failings and a lifetime of insecurities and second-guessing. McEwan applies this level of care and detail throughout the novel, which may lack the sinister urge of books like The Cement Garden, The Comfort of Strangers or First Love, Last Rites, but certainly channels the disquiet of Enduring Love and Saturday, in which the tragedies unfold in slow motion and a lifetime of torment is distilled into a bitter, lingering moment.